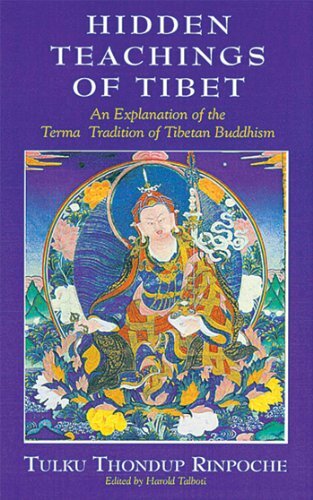 [PDF] Hidden Teachings of Tibet: An Explanation of the Terma Tradition of Tibetan Buddhism | Free eBooks Download - EBOOKEE! Description: In all religions, sacred texts and objects have appeared miraculously. Among the most remarkable of these revelatory traditions is the terma tradition of Tibetan Buddhism. Termas herald a fresh opportunity for the renewal of spiritual practice. Here Tulku Thondup Rinpoche tells the story of the terma tradition initiated by Padmasambhava, the ninth-century saint who established Buddhism in Tibet. No comments for "[PDF] Hidden Teachings of Tibet: An Explanation of the Terma Tradition of Tibetan Buddhism".